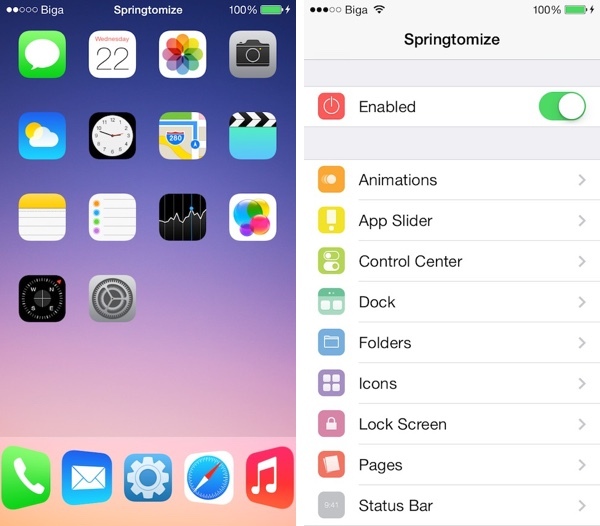 The popular jailbreak tweak Springtomize 3 has just been updated with full support for iOS 8.4, and it is immediately available to download right now from the Cydia store. Ask any seasoned jailbreaker about their list of favorite tweaks and apps from Cydia, Springtomize will more often than not make it into the list. The reason for it is simple – the amount of customization, freedom and power Springtomize 3 offers is second to none. For those who still don’t know what Springtomize is all about: Springtomize jailbreak tweak allows users to alter and customize just about any part of iOS, From the Home Screen, Lock Screen, dock to Control Center, folders, status bar and much more, there’s very little that Springtomize can’t do. There are a bunch of options to choose from. 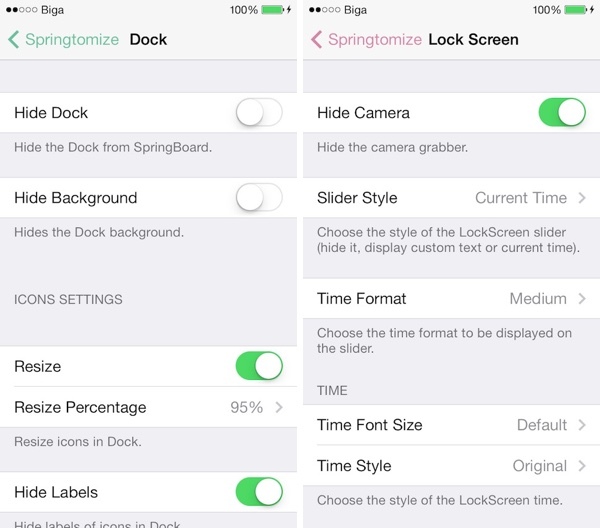 In short: Springtomize 3 is the one tweak to rule them all in the customization department. Where users previously had to download a number of tweaks to get the setup they wanted, Springtomize is now that one solution they need to tweak iOS any which way they like. The package has now been updated on Cydia to fully support the recently released TaiG iOS 8.4 jailbreak, ensuring that users get the latest and greatest customization options out there in the jailbreak world, regardless of the version of iOS they may be running. 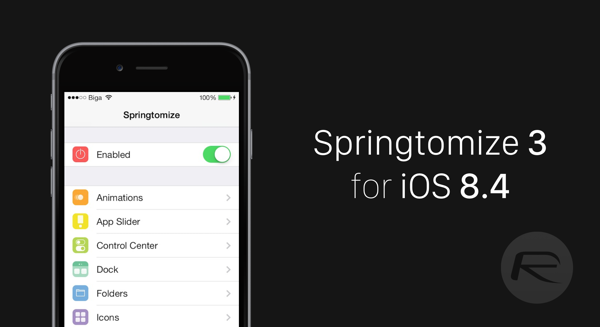 If you already own Springtomize 3, you will get the update for iOS 8.4 for free. If you’re a first-time buyer, then you will have to stump out $2.99 to get the ball rolling, and trust us, you won’t regret this buy one bit. The tweak is available to download directly from the BigBoss repo in Cydia and currently supports all iPhones, iPads and iPod touches running iOS 8.4. Um, yea it does. I installed it yesterday on my 6 Plus on iOS 8.4. Works flawless as always. Working fine for me as well (iPhone 6). Make sure you’re installing version 1.3.0-6 and not 1.3.0-5 as the current version added support for 8.3+. I understand a website that is still in a job to սոⅼοсking AT&T l0cked devices after AT&T denied the access of numerous սոⅼοсking sites with their database following the renew, which caused many սոⅼοсkings not working anymore. The site is just google atttiphoneuunloockiing, it’s undoubtedly one of many most reliable սոⅼοсking site you can find on the internet nowadays.